Welcome to the April 2017 edition of the PXI Newsletter. Our intent is to educate and inform you about how the PXI standard is being used in modular test systems for a wide variety of industries. 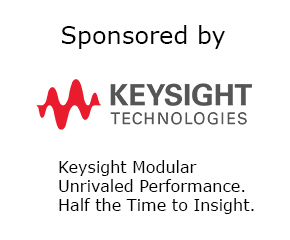 Our thanks go to Keysight Technologies, the sponsor of this month's issue. n_TOF is a pulsed neutron source at CERN, the European Organization for Nuclear Research, that studies neutron interactions as function of the energy using time-of-flight method. This research will help astrophysicists understand how stars are born, grow and die. It also furthers the general understanding of nuclear physics and in particular, its application in strongly reducing the production of nuclear waste in future nuclear plants. Nuclear fission is at the heart of n_TOF’s experiments and this creates a huge amount of data. The data acquisition systems (DAQs) in n_TOF were upgraded in 2014 and CERN’s DAQ Coordinator, Alessandro Masi, chose Teledyne SP Devices’ digitizers to process experimental data. We worked with Alessandro to optimize the digitizer’s programmable gain amplifier’s high gain stability and optimized the data transfer rate from the card memory, to the CPU memory, in order to perform consecutive acquisitions every 1.2s at the maximum sampling frequency. Combining this with efficient data reduction algorithms in the CPU, we significantly improved data quality while reducing the volume of data generated by each experiment. Oscilloscopes and digitizers are a critical instrument selection when it comes to signal analysis. Both include ADC technology for waveform acquisition but the implementation for each is quite different. Some engineers have used these instruments interchangeably for their waveform analysis applications. This may be convenient, but it is important to understand that oscilloscopes and digitizers are optimized for different functions which when used inappropriately can impact the measurement results. This article describes some key attributes to consider when selecting an oscilloscope or digitizer and shares examples to demonstrate the optimal instrument for a specific application. Resolution and dynamic range. A good measure of this will be the effective number of bits (ENOB). ENOB will digitize a high quality sinusoidal signal and calculate the overall signal to noise ratio. Input bandwidth and sample rate. Dr Harry Nyquist’s sampling theorem states, for a sampling system the Nyquist frequency Fn is equal to ½ the sample frequency fs. Signal energy above the Nyquist frequency will mix with the ADC sample rate and products will fold back on top of the single of interest. Input bandwidth limiting filters are used to prevent aliasing products. Memory reduction techniques. Techniques such as DDC (digital down conversion) and segmented memory can reduce memory requirements. In 2015 Entegra Solutions were contacted by Thales Air Traffic Management looking for the highest dynamic range, wide bandwidth data acquisition card available. Their objective was to build a passive radar using beamforming techniques to receive reflections of DVB-T Tv signals from aircraft to replace traditional airfield radars. Their requirement was simple, the highest SFDR possible, ideally direct sampling of the UHF signal, followed by digital receivers with FPGA for beamforming. Entegra Solutions Ltd has been the UK value added reseller of solutions by Innovative Integration Inc since 1999, with a history of supplying many data acquisition solutions complete with software, logic and support. After several technical discussions, Entegra were able to propose a multistage project with steps of integrating the latest hardware from Innovative to provide a roadmap to the best long term solution. The first stage is documented below. The FMC121cP is a high performance FPGA carrier card complied with ANSI/VITA 57.1. Depending on design version it can fit CompactPCI or PXI or PXIe 3U systems. All the interface options are closely coupled to fast on-board memory resources. AMETEK VTI Instruments continues to expand their core ATE PXI Express (PXIe) card lineup. The EMX-70XX series can be used to simulate sensors, potentiometers, thermocouples, pressure sensors, strain gauges, and more. FlashRunner PXIA3 is the new PXI module for Gang In-System Programming. FlashRunner PXI is based on FlashRunner technology, the fast and reliable programming system for flash-based microcontrollers and serial memories. Rotary table based product handlers used in production help minimizes load and unload times for an operator, because the device-under-test (DUT) automatically moves to the next cell within the station as each DUT is loaded. The M3100A and M3102A 1 slot PXIe digitizers are ideal for general purpose use in automated test systems. The digitizers offer advanced data acquisition systems (DAQ) with optional real-time control and synchronization, and graphical FPGA programming software tools for measurement customization. OpenATE has released a High Pin Count, programmable DUT power supply / SMU with one slot 3U PXI based module. The SMU64 features 64 channel with the ability to source voltage and measure current; it's optimized for open short testing or lab environments. The 40-614 range is available in 20 different configurations and was designed for signal routing in Automatic Test Equipment (ATE) and data acquisition systems. The range uses high-quality electromechanical signal relays allowing each channel to switch current up to 2 Amps and voltage up to 200VDC/140VAC. Recently Astronics announced a new PXIe-1802 Arbitrary Waveform Generator in a compact, robust PXI form factor for aerospace, defense, communications, and other high-reliability applications. AIT's new PXIe-FCETH instrument is a PXI Express module that is capable of being used as either a Fibre Channel or Avionics Ethernet test instrument. The module can be reconfigured, by the user, to operate each of it's two network interfaces as either Fibre Channel or Ethernet. The PXIe-4480 is designed for high-bandwidth audio, acoustic, and vibration measurements. It provides six channels of dynamic signal acquisition, and you can use one of four gain settings to configure your input range.